Right then, guys and gals. We've had eight movies to dissect and discuss. Some love them, some hate them, many fall somewhere in between (I count myself in that group, although erring on the side of "love them"). Now, whilst the idea has been put out there before, this thread is not intended to be used for discussing the merits or otherwise of a remake of the Harry Potter film series. What I thought would be interesting to discover is who you think would be a good casting choice for your favourite HP characters if a new series was being made now and the original actor was unavailable. Therefore, primarily, this should be kept to actors who didn't appear in the series, although it would be interesting to see if you pick out someone who was, but who you feel might have done well in a different role. David Wenham (known to many as Faramir in LOTR) as my nomination for the role of Remus Lupin. I think Christopher Plummer would have made an excellent Dumbledore. Actually, I don't feel a particular need to recast anyone. If, however, someone else was supposed to give Severus Snape a try, my favourite would have been Robbie Carlyle. I think I must be the only person alive who has not liked Helena Bonham Carter as Bellatrix. I always imagined Bellatrix as much taller and very aloof, now maybe I did not pay enough attention to her description in the books, my imagination does run away with me, but Liv Tyler, I think, would have been great. I think Johnny Depp would work. not sure if I want him as Severus Snape or Voldemort. But, I know it is hard to imagine anyone else playing Snape. "Turn to page 394" "Obviously". And his facial expressions, sigh. if Johnny Depp wants to act in the movies, I think he would make a good Voldemort. I agree that Helena Bonham Carter doesn't look as Bellatrix is described but as Jo wouldn't allow non-British actors I'd have gone for Anna Chancellor. Woah, that's way out of left field, but having checked out more recent pics of him, I can see where you're coming from... he's got that twinkle in the eye that Harris had. Strange that the last time I saw him in action was as the Klingon General Chang in Star Trek 6! Dumbledore, along with Snape, is one of the toughest to imagine a replacement for, I don't think anyone could top Richard Harris, with the possible exception of Ian McKellen (who, IMO, should have been Harris' replacement). I'll throw another one in the mix though, and that's Bernard Hill (King Theoden) who I think could do well in the part now he's got a few more years on him. I think Johnny Depp would've been a good Sirius and how about Christopher Lee for Voldemort ? I know he`s ot British, but I would DEFINITELY cast Robert Carlyle as Snape. And he looks exactly how I pictured Snape in the books! would be a great Harry, although its hard to imagine anyone but Dan playing him..
"Believe in love. Believe in magic. ...Believe in others. Believe in yourself. Believe in your dreams. If you don't, who will?" There aren't all that many American actors I'd pick, but one guy I do like is Robert Downey Jr. I think he'd make an excellent Sirius Black. I'm also going to throw Hugh Grant's name in the mix as Gilderoy Lockhart. I can see him in the Sir Ken Branagh role. Robert Carlyle is Scottish and is therefore British. I agree he is a very good actor, and I think he could do a very good Snape. Last edited by TreacleTartlet; June 30th, 2012 at 9:02 pm. - I think he would balance the different aspects of the character well. Yes, yes yes! 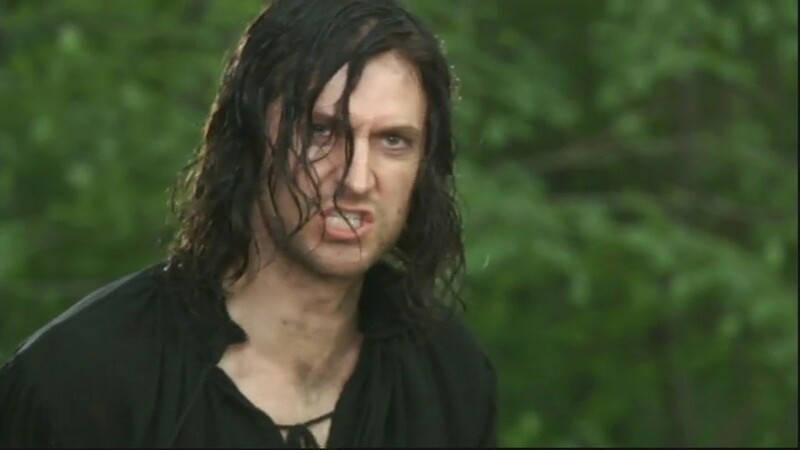 I have also thought that Richard Armitage would be very good in the role of Snape. He can do a very good greasy snarl as well. Does the all-British requirement apply to magical objects too? Because I was going to suggest Gilbert Gottfried as the voice of the Sorting Hat. When Richard Armitage was first suggested I remembered him from Spooks and North and South and thought 'no'. Then I remembered his Guy of Gisbourne and thought 'oh, yes!' Snape incarnate! I'm trying to think of an alternative to Helen McCrory for Narcissa (she really didn't look the part to me) but I can't come up with a pale wispy actress who matches the description. Maybe Tilda Swinton? And I think I actually like Robert Downey Jr. as Sirius, too. Good one! Im not familiar with Richard Armitage, unfortunately, but the pic def. looks convincing.